The Korean acting crossover sensation, Christine Kim has been signed by the international talent firm, Dessler Media Talent. The Korean acting crossover sensation, Christine Kim has been signed by the international talent firm, Dessler Media Talent. 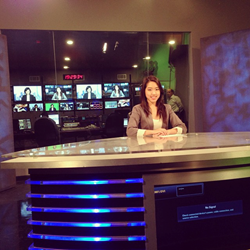 Dessler media Talent will be representing Christine Kim by exclusively showcasing her talent as a news anchor to all of the major markets in the United States. Dessler Media Talent will be showcasing Christine Kim as a lead anchor to all of the major network affiliates this season.